As 2017 draws to a close we can look back on another successful year at Autoclenz with record new business gains and more importantly great customer retention. It's no secret that the 2nd half of the year has presented challenges to our retail customers who have seen a reduction in new car registrations, putting a focus on used car performance. I think more pleasing this year has been the take up by existing customers of our additional services. As the focus has been on used car performance our SMART Repair and Imaging solutions have been well received and are making savings for our customers in delivering a well-managed, efficient, Ready to Retail process. There is more information on these services in this newsletter. Autoclenz has enjoyed growth across each of our sectors in 2017. In retail we have continued to grow launching 42 new retail sites, many of whom have been existing Dealer Groups that have awarded Autoclenz more sites. Our Rental / Movements sector has continued to grow with new sites from Sixt, Europcar, Avis and rapid growth through our Kwikfit relationship as we launch more Collection & Delivery sites across the UK to support their Fleet customers. Finally our Special Contracts Division supporting our volume customers in terms of Valet, PDI, SMART Repair, Bodyshop & Logistics. This Division has developed a diverse range of services for volume customers which include BCA, GEFCO, JLR & Motorpoint to name a few. Thank you for your support in 2017 and from all of us at Autoclenz we wish you a very Happy Christmas and prosperous New Year! Brexit is a dark cloud on the horizon and may present real challenges after March 2019. 6% of the UK workforce is made up of non UK workers from the EU states. That's quite a figure which stretches across all employment sectors, but most notably the service sector. Take this current workforce out of the equation and what hole does that leave? Valeting and associated services sit very much in this area and I would estimate that percentage significantly increases to somewhere between 70-75% where non UK labour is the norm. So who is in your valet bay now and how could that change over the coming months? Whether you manage your own in house operation or outsource the potential effect would significantly affect recruitment of current EU legislated labour. With Brexit looming the argument to outsource strengthens and Autoclenz is best placed to attract the right, fully compliant operators, leaving you to focus on your core business. We're sure your organisation is compliant with the National Living Wage and the 2015 Modern Slavery Act but what about your sub-contractors? In these days of corporate governance it is your responsibility to make sure your suppliers comply. Have you asked your current supplier to provide you with documentation on each of the operators on site, copies of passports, copies of driving licenses etc. Ask how much they are getting paid in fees? Is the pricing supporting minimum wage? A warning sign will be a high turnover of operators, constantly changing faces due to their lack of ability to earn. In the past the attitude from dealers has been a "not my problem", "it's up to the supplier who they use". This new act puts you at risk of being prosecuted along with the supplier. All of our operators go through a gruelling, industry-leading, compliance checking process including their ability to legally work in the UK, driving licence bureau checks and identity checks. There is a cost to this and, more importantly, there is a cost to adhering to the new minimum living wage of £7.85 per hour, which supports engaging the right people. What's the cost to your business of not being compliant? The ability to present your stock for sale in the best light is essential, not only physically onsite, but wherever the marketplace takes you. But why have the fixed cost of a digital photographer or outsource company coming on site? Surely the best time for imaging a vehicle is when it is freshly valeted and quality controlled? 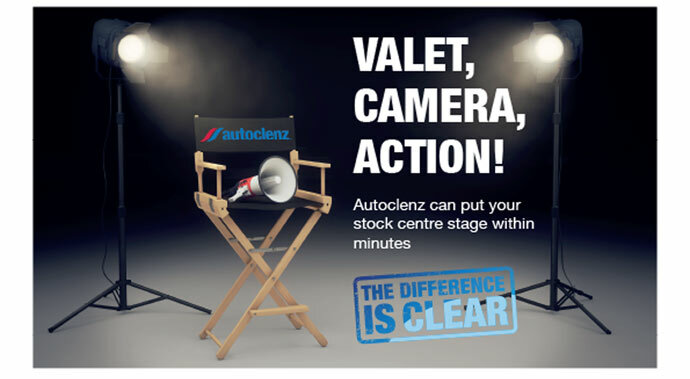 Autoclenz has the solution working with our partners, AutosOnShow. Via a configured app, we can photograph vehicles with backdrops and take a 60-second video, if required, as part of a controlled process. Every used vehicle is photographed at the point of valet, ensuring the best quality of image. Furthermore, we upload the images in a matter of seconds, often before the vehicle has even been driven onto the forecourt and priced. As part of our service, we manage the quality and stock-versus-images ratios to ensure consistency of quality and volume. All of this at a very attractive per car charge, no fixed cost and a flexible invoice. Imagine your website showing every vehicle freshly valeted, displayed in the same way with video and stills, uploaded at the point of valet in a speedy manner. Link this with some very impressive search engine optimisation tools that ensure your stock is being matched to prospects' specific search criteria and the results speak for themselves. Congratulations to the Autoclenz Safety Champions Wayne Thornton, Viktor Pokrasenko, Kerrie Dutton, Craig McGloin, Phil Kaszubski, Chris Brook, Del Warner and Lisa Pipes who have all passed the IOSH Managing Safely examination. The course was delivered in-house by Burton College with sessions held over 4 days and all delegates passing with excellent marks. The Autoclenz Safety Champions Team now feels more capable and motivated in terms of integrating safety and health into the company's corporate culture. 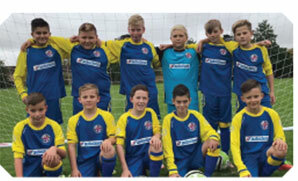 They have demonstrated increased confidence when faced with new challenges and have broadened their approach to overcoming problems by using the skills learned. Congratulations to Graham Smith, Autoclenz Customer Service Manager, for achieving the 9001:2015 Internal Auditing Accreditation and to Lisa Pipes, Autoclenz SHE&Q Co-Ordinator, for achieving 9001:2015 Internal Auditing as well as passing her IOSH Managing Safely examination. 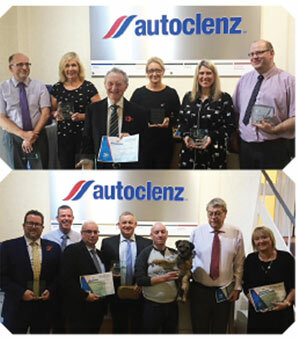 In November we were pleased to honour the achievement of 14 members of Autoclenz on reaching the 20 years service milestone. We would like to thank all that attended for their dedication, loyalty and commitment over the years. Their abilities and contributions are an important key to the success of our entire operation. 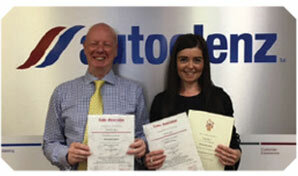 Autoclenz has recently sourced 5 new Divisional Support vehicles to support our customer growth in our Southern area. After much consideration our choice of supplying dealer came from one of our long term partners in the shape of Howards Motor Group in Somerset who have supported Autoclenz for the past 18 years. Keen pricing, great customer service and a great product underlined the deal for 5 Citroen Berlingo 1.6 BlueHDi 625 Enterprise vans with great fuel economy, low emissions, sat nav, air con and 3 seats in standard spec backed up by 100,000 miles warranty. 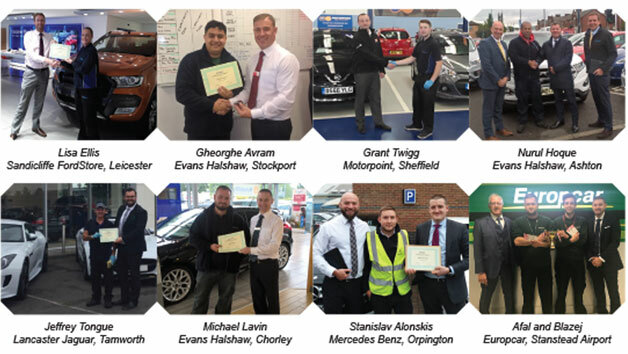 Martin Peters commented "Howards have been a loyal partner since launching our 1st account with them back in 1999 which I put on myself as a BDM. 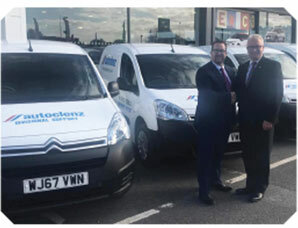 At Autoclenz we feel it is important to spend with supporting dealers which further cements our relationship and Howards are a great example of this". 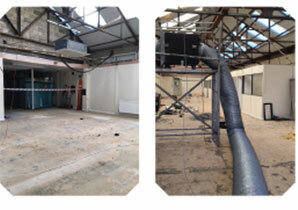 There are some exciting new changes being made at the Autoclenz Head Office in Swadlincote, Derbyshire. Work has started to take place and we look forward to showing you the new look offices in the New Year. Autoclenz is proud to be partnering the AM Awards in 2018 for the 4th year running, sponsoring "Best Used Car Performance" which aligns perfectly with the Autoclenz experience. Look out for photos of the winner in the next edition of AutoNewz. 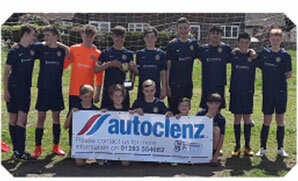 Autoclenz are proud to have sponsored a number of teams this year including Cardiff City FC Women, Pheonix Rangers U14 (Burton Junior Football League) and Windsor Royals Youth FC (Wycombe and South Bucks Minor League). We wish all teams the best of luck for the remainder of the season.